Notebook e computer portatili Lenovo Dimensioni schermo 14.1"
PORTATILE LENOVO T400. WINDOWS 7 PROFESSIONAL. Notebook appena formattato e installato windows 7. segni d'usura scocca esterna. 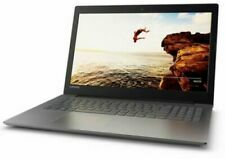 Lenovo Flex 2 14" (1TB, Intel Core i3 4th Gen., 1.9GHz, 4GB) Notebook/Laptop -. Lenovo Flex 2 14" (1TB, Intel Core i3 4th Gen., 1.9GHz, 4GB) Notebook/Laptop - …. Condition is Used. Daughters old laptop which will be reset. She has upgraded to faster gaming machine. This is a good PC and screen allows it to be used as a tablet. Good condition. There is a crack on the back which I repaired and covered with a vinyl sticker (now removed) - see pictures. Other minor scratches but generally good. Lenovo ThinkPad S440. RAM 8Gb DDR3. Sono installati vari programmi utili. S.O. installato: Windows 10. 1x USB 2.0. Lenovo T410 Laptop. Laptop Components. In reality this is likely to be within 24 hours dependant on how busy we are. You may collect. Variation in these will invalidate warranty. Extended warranties available. Lenovo ThinkPad T450 14" i5-5300U 2.30GHz 8GB 128GB SSD. Storage (SSD): 128GB. Ports: RJ45, 3x USB 3.0, VGA, mini Display Port, SD card reader, headset jack, SmartCard reader, SIM card slot. Optical Drive: N/A. Hard disk: 320GB. display: 14,1" 1600x900. velocità processore: 2,90/3,60GHz. sistema operativo: windows 10. Grado B uno o pochi segni di usura. Grado A nessun segno di usura pari al nuovo. CLASSIFICAZIONE dei gradi. Lenovo T420 Laptop. Laptop Components. In reality this is likely to be within 24 hours dependant on how busy we are. You may collect. Variation in these will invalidate warranty. Extended warranties available. Lenovo ThinkPad L440. RAM 8Gb DDR3. Inoltre vi sono installati vari programmi utili. S.O. installato: Windows 10. 1x Uscita Mini Display Port. 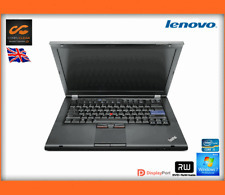 NOTEBOOK LENOVO ThinkPad T420 i5-2450M. Ricadono in questa categoria gli articoli che hanno un eccellente o ottimo livello estetico. Alcune unità possono essere paragonate ad un prodotto nuovo; le altre avranno comunque graffi leggeri e difetti minori. Lenovo IdeaPad 120s. Tipo di prodotto: Computer portatile, Fattore di forma: Clamshell. RAM installata: 4 GB, Tipo di RAM: LPDDR4-SDRAM. Scheda grafica integrata. Colore del prodotto: Blu. Serve aiuto?. LENOVO THINKPAD T400 NOTEBOOK PROFESSIONALE, IN ECCELLENTI CONDIZIONI, SISTEMA OPERATIVO WINDOWS 10 PROFESSIONAL 64BIT E SUITE OFFICE 2019! Sistema operativo: WINDOWS 10 64BIT, OFFICE 2019. LENOVO T400_W10_2019. Notebook PC Portatile usato ricondizionato Lenovo T420 i5 4GB 320GB DVD-RW 14,1"
Lenovo ThinkPad 14.1" Professional Slim Topload 14.1" Briefcase Black,Red - Notebook Cases (Briefcase, 35.8 cm (14.1"), 670 g, Black, Red). Compatibilit?. Lenovo ThinkPad. Altezza 263 mm. Profondit?. Larghezza 354 mm. Lenovo T460 Laptop. In reality this is likely to be within 24 hours dependant on how busy we are. You may collect. Laptop Components. Variation in these will invalidate warranty. Extended warranties available. 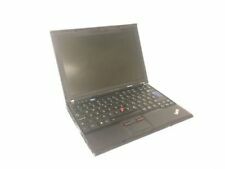 (14,1") Lenovo ThinkPad - NUOVO. Publisher Lenovo. Studio Lenovo. Bios gesperrt, Passwort unbekannt. T7500 @ 2,2 GHz. Notebook Lenovo ThinkPad T61. Lenovo ThinkPad T61. Tastaturbeleuchtung, Fingerprint. 1x D-Sub (15-pin) Anschluss. BIOS Password. Beginn und Ende derartiger Hindernisse werden wir dem Kunden unverzüglich mitteilen. Lenovo T420s 14.1" 35,8cm i5-2520M 2,5Ghz 4GB 128GB SSD 1600x900 WWAN DVDRW Win7Art.Nr: 4173-B63-AB-WARE-4GB-WWAN#R. Festplatte: 128GB SSD. Prozessor: i5-2520M 2.5GHz (Max. Turbo Taktfrequenz 3.2 GHz) 3MB Cache. Hard Drive : 240GB SSD. Webcam :YES. 12 MONTHS WARRANTY. Warranty : 12 Month. scratches on LID,also. Various : VGA,mini Display Port. USB Ports : 4. 4GB RAM Arbeitsspeicher. Grafikkarte Nvidia NVS 3100M. Festplatte 250 GB HDD. WLAN mit b/g/n Standard (bis zu 300 MBit). Windows 10 Professional komplett installiert und Updatestand 2019, keine lästige Installation, einfach starten und noch kurz aktivieren. 1,66GHz Core 2 Duo T5500 | 2GB RAM | 160GB HDD | Combo Laufwerk. Laufwerk: CD-RW / DVD-ROM kombiniert. Zusätzlich zum Notebook erhalten Sie eine passende Tragetasche. Das Bild dient nur zur Veranschaulichung. Lenovo 50276 14.1". 1x Lenovo 50276. Get a Great Working Laptop for a fraction of the cost of a new Laptop. 2.66 GHz Processor Thoroughly tested, in f ull working order, works like new. Our Product Note. DVD -RW Laufwerk. Englische Tastatur Layout. Aud der Deckel sind Aufkleber Spüren dran. Akku defekt (keine Funktion). Prozessor: P8400 2,26GHz. Notebook Lenovo ThinkPad T400. 160GB Festplatte. 2GB Ram Speicher. Hard Drive : 500GB HDD. Webcam :YES. 12 MONTHS WARRANTY. Warranty : 12 Month. Various : VGA,mini Display Port. USB Ports : 2. Lenovo ThinkPad R400. Hard Drive 160 GB. Our range of computer system are suitable for professional and students alike. Open Office- Good For Word Processing, Spreadsheets, Presentations, Graphics, Databases and more. Lenovo Ultrabook X1 Carbone Portatile Win10 Core I5 Webcam 4gb 128gb SSD 14.1 "
SSD Capacity 128GB. Model Lenovo Ultrabook X1 Carbon. Features Built-in Webcam. Computer portatile con Windows 10 Pro (inglese britannico). La tecnologia Wi-Fi consente di accedere a internet wireless a casa, ufficio, college e hotspot in ristoranti, Alberghi, aeroporti. Lenovo Yoga 510-14AST 14.1". 1x Lenovo Yoga 510-14AST. AMD A9-9410. As part of the sale you"ll receive. Lenovo T420i, 14.1" Laptop. Laptop Components. In reality this is likely to be within 24 hours dependant on how busy we are. You may collect. Variation in these will invalidate warranty. Extended warranties available. SSD Capacity 128GB. Computer portatile con Windows 10 Professional (inglese britannico). La tecnologia Wi-Fi consente di accedere a internet wireless a casa, ufficio, college e hotspot in ristoranti, Alberghi, aeroporti. SSD Capacity 128GB. Computer portatile con Windows 10 Pro (inglese britannico). La tecnologia Wi-Fi consente di accedere a internet wireless a casa, ufficio, college e hotspot in ristoranti, Alberghi, aeroporti. Windows 7 ULTIMATE 64-NUOVO installato. Notebook e computer portatili Lenovo Dimensioni schermo 14"
Notebook e computer portatili Lenovo Dimensioni schermo 12"
Notebook e computer portatili Lenovo Dimensioni schermo 15.6"
Notebook e computer portatili Lenovo Dimensioni schermo 12.5"
Notebook e computer portatili Dell Dimensioni schermo 14.1"